My Little Me is a leader in Ohio 3D/4D ultrasound technology and we use it to bring images of your unborn baby to life. An Ohio 3D ultrasound during pregnancy allows you to actually see what your baby is going to look like before he or she is born! Using the same safe ultrasonic sound waves that are used in your doctor's office, our 3D/4D ultrasound equipment provides a resolution and clarity unsurpassed in the industry. It's less expensive than you might think and every bit as wonderful as you've heard. We're certain you'll love the experience as well! We are one of the only ultrasound providers that is owned and operated by a ARDMS ultrasound technologist with advanced training in 3D and 4D imaging. We have 14 years experience . ARDMS credentials document personal achievement of recognized professional standards. ARDMS promotes quality care and patient safety through the certification and continuing competency of ultrasound professionals. 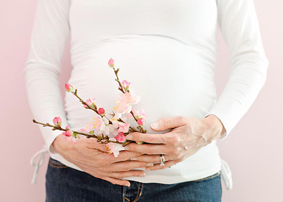 Your family can trust My Little Me to offer you a safe and memorable ultrasound experience during pregnancy. Why Choose Us For Your 3D/4D Ultrasound During Pregnancy? We offer a comfortable, family oriented environment that allows everyone to enjoy a positive bonding experience with the unborn baby. We even have a small play area in the ultrasound room for kids.